Binge-eating post workout can easily pack the pounds! Having a schedule and sticking to it means you know what your next moves would be. Schedule workouts before your main meals—that way you can refuel your self with the food you would have consumed anyway. Preparing your meals ahead may also prevent you from stopping by the fast-food joint you happen to pass by before or after you hit the gym. Better yet, sprint away from those places. It’s exercise, too. Or gargle some mouthwash. Who wants to eat after you get that minty fresh feel on the mouth? Not us, thanks. The only thing you won’t ever want to skip is rehydrating yourself with the water you lose after sweating. Some people mistake thirst for hunger a lot. That is why it’s absolutely helpful to have a handy water bottle for whenever the urge to binge snack starts to surface. Plus, you would wouldn’t want to cut down on the eight glasses a day drill. Hate to break it to you, but sometimes you are not losing weight as much as you are gasping for air in the gym. Lifting those weights is not an excuse to sit down and consume a second helping of large fries. Let the body you want be the prize. Inspire and discipline your mind to keep your eyes on the goal. The next time you grab that extra burger, ask yourself: Are you really that hungry? Why would you want to waste all of that workout? What would your fit inspo do? Every fitness junkie knows that you should never really starve yourself. 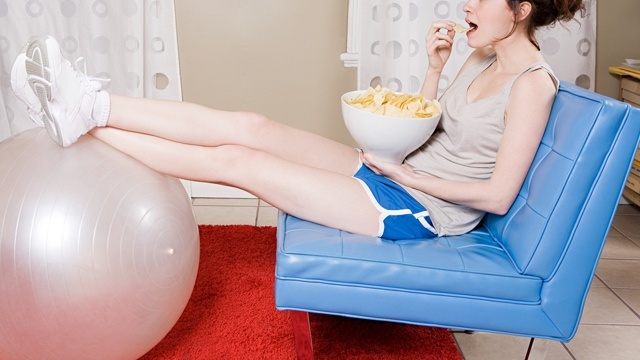 If you can’t master the art of not binge-eating yet, then do it in a healthier way at least. Go for healthy snacking alternatives like fruits, protein bars or health drinks like Green N Go Soya Milk to help you refuel lost minerals after your fitness routine. It’s available in two flavors: Original and Soya Milk + Coffee—perfect for CGs who want to live a healthy lifestyle 24/7. 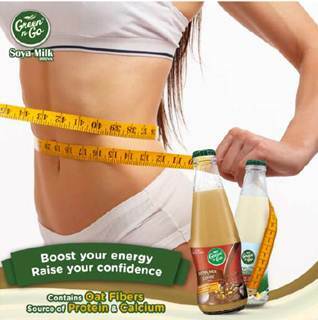 Green N Go Soya Milk is available in all major supermarkets and select convenience stores nationwide. Learn more about it on their Facebook page. This article was created by Summit Storylabs in partnership with Green N Go Soya Milk.